More accurate demand forecasting. Better plans. 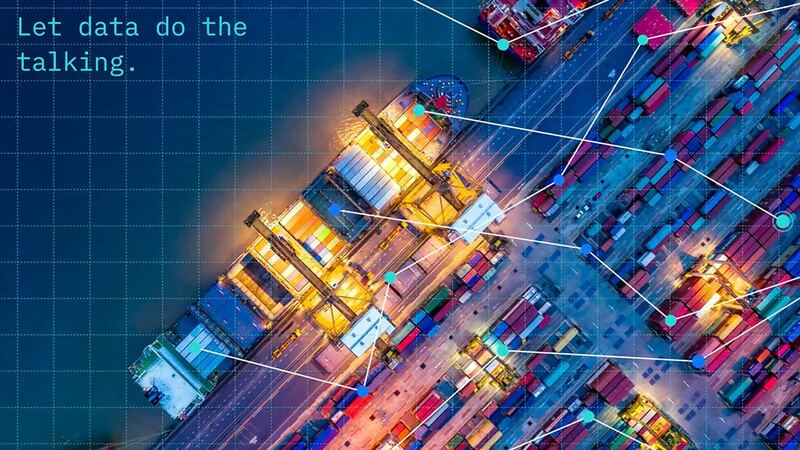 Analytics solutions from IBM can help operations, supply chain, sales, product, manufacturing and finance teams create more accurate demand forecasts and operational plans in minutes instead of days to determine the best product mix and production quantities. These solutions also enable data science teams to collaborate using an integrated development environment so they can quickly build and deploy models to the business for immediate results. With a combination of IBM financial planning, predictive and prescriptive solutions, you can improve forecasting accuracy, enhance operational efficiency and boost revenue. Get IBM Planning Analytics for improved decision quality, with one view into KPIs, plans, gaps, root causes, and interactive scenarios. Add IBM SPSS Modeler to your tool set to drive highly accurate forecasts using over 40 out-of-box machine learning models. 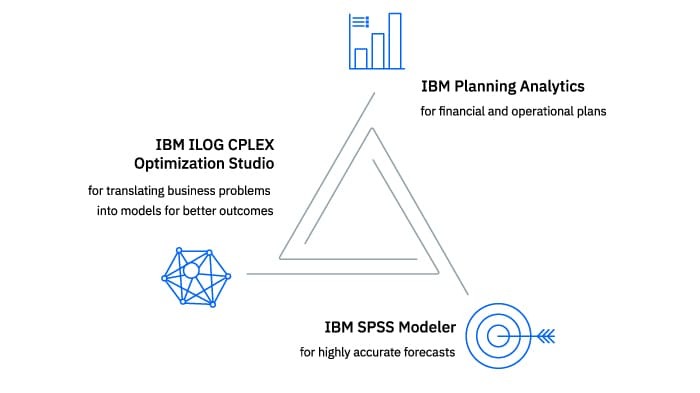 Complete the trifecta with IBM ILOG CPLEX Optimization Studio for easy translation of business problems to models for better outcomes. Create forecasts, budgets and plans with real-time access to relevant data, unlimited what-if analyses and multi-dimensional modeling to optimize demand planning and enhance supply chain management. Use predictive models to identify trends and complex variables for more accurate forecasts with out-of-the-box algorithms and models for accurate, timely, reliable plans. Incorporate powerful optimization engines with mathematical and constraint programming models for fast, optimized results, and unlimited what-if scenarios. Learn how advanced analytics can lead to championship-winning forecasts and faster, constraint-based planning. Build more accurate demand forecasts, improve operations planning and report with confidence. Build your business dream team for accelerated, accurate forecasts and more integrated planning. Find out how your financial plans and operations can “dance to the same sheet of music” for more accurate decision-making.